← The Lee Child inspired ‘Literary Fiction Detector’. 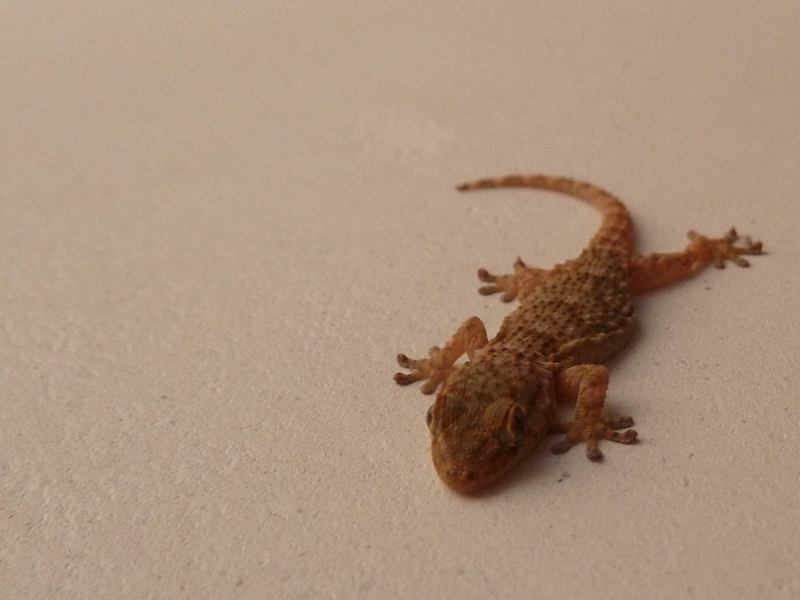 Although strictly speaking he’s a common house gecko, this chap (*) is a rare visitor to our house. So we’re chuffed to bits to see him mooching around on our ceiling. Gecko. 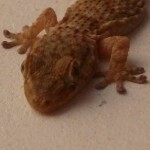 Our Gecko. Not yours. Incidentally, the photo is upside down. The dude is actually hanging nonchalantly upside down on the ceiling. They do that, geckos. Go, little gecko! Gorge yourself silly on houseflies! (*) and, strictly speaking, this chap could in fact be a girl.